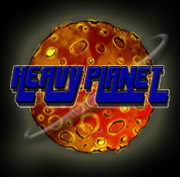 Heavy Planet : Join the Heavy Planet Staff! Join the Heavy Planet Staff! Due to the recent influx of band submissions and reviews, Heavy Planet is in need of a person to help out with album reviews. We are looking for writers who are as passionate about the music as we are. We are here to promote independent and unsigned bands and give them the promotion they deserve. The perfect candidate must exemplify knowledge in the Stoner/Doom/Sludge/ Psych, etc. genres of metal. Your sole purpose will be to write exclusively for Heavy Planet and not to promote your own website/blog. While there is no pay involved, myself and possibly bands/labels will send you promotional material for review. You will also be required to post at least 2-3 reviews per month. So if you think you may be the right fit for Heavy Planet, send in a recent review of an album that you most recently listened to. Look forward to hearing from you!